HBO has confirmed the debut date of the Duplass Brothers-produced half-hour anthology series ROOM 104, which will begin its 12-episode season FRIDAY, JULY 28 (11:00-11:30 p.m. ET/PT). Set in a single room of an average American motel, ROOM 104 tells a different story of the assorted characters who pass through it in each episode. Actors include: Hugo Armstrong, Davie-Blue, Melonie Diaz, Jay Duplass, Veronica Falcon, Adam Foster, Ellen Geer, Keir Gilchrist, Philip Baker Hall, Sarah Hay, Poorna Jagannathan, Orlando Jones, Ethan & Gavin Kent, Amy Landecker, Konstantin Lavysh, Sameerah Luqmaan-Harris, Keta Meggett, Natalie Morgan, Ross Partridge, Karan Soni, Dendrie Taylor, Tony Todd, Will Tranfo, James Van Der Beek, Mae Whitman and Nat Wolff. Directors include: Anna Boden & Ryan Fleck, Patrick Brice, Marta Cunningham, Doug Emmett, Megan Griffiths, Dayna Hanson, Chad Hartigan, Ross Partridge, Sarah Adina Smith and So Yong Kim. Writers include: Xan Aranda & Ross Partridge, Anna Boden & Ryan Fleck, Mark Duplass, Dayna Hanson, Carson Mell and Ross Partridge. 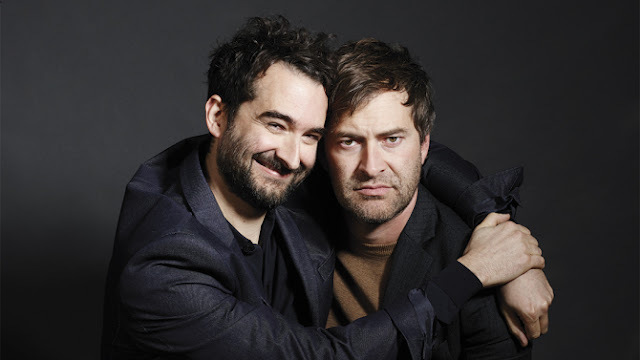 Mark Duplass and Jay Duplass are the creators and executive producers of ROOM 104; executive producer, Xan Aranda; co-executive producer, Ross Partridge; producer, Sydney Fleischmann.